Michael J. Zgrabik, MD, FACS, is a native of greater Cleveland, born and raised in Maple Heights and Parma. He graduated from Padua Franciscan High School as class valedictorian. He then received his BS in biology from the University of Notre Dame graduating as class valedictorian. He went on to achieve honors status at Harvard Medical School and completed his Internship at the Faulkner Hospital in Boston. He then served his Residency in Ophthalmology at the pestigious Wills Eye Hospital in Philadelphia. 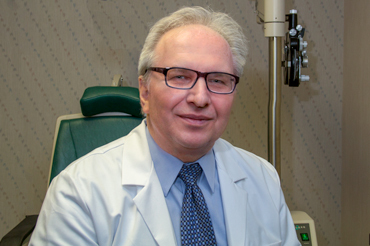 Dr. Zgrabik was a partner at Medical Eye Associates, Inc. in Middleburg Heights from 1989 until he joined Fairview Eye Center in 2018. 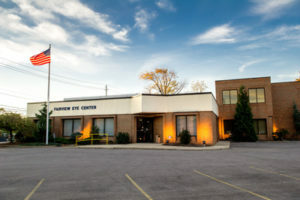 He limits his practice to the Eye Center of Middleburg Heights where he is the managing partner. He practices comprehensive ophthalmology and is a cataract surgery specialist performing small-incision no-stitch surgery, refractive cataract surgery, laser-assisted cataract surgery, and “dropless” cataract surgery. He implants traditional, Toric and multifocal premium intraocular lenses. He also performs minimally invasive glaucoma surgery as well as the medical, laser and injection treatment of retinal diseases including diabetic retinopathy and retinal vascular disorders. Dr. Zgrabik is board certified by the American Board of Ophthalmology and is an active member of the American Academy of Ophthalmology, American College of Surgeons, American Society of Cataracts and Refractive Surgery, and Ohio Ophthalmology Society. He currently has hospital privileges at UH Parma Hospital and Southwest Community General Hospital. He performs his surgery at the Cleveland Eye and Laser Surgery Center where he was one of its founding physicians. He is grateful and honored to have been selected by many physicians and their families for their medical and surgical care including fellow ophthalmologists and optometrists. Dr. Zgrabik and his wife Beth live in Bay Village and are blessed with their blended family of six children affectionately called, “The Brady Bunch.” He enjoys movies, baseball and travel. Dr. Zgrabik and his wife are most proud to be Papa Z and Mama B to a growing number of grandchildren.